Captain Jim Davidsaver of the Lincoln Police Department uses the mobile data computer in his cruiser. UNL researchers are working with LPD to test smart phones and GPS-enabled laptops to improve patrol duties. Increasingly popular smart cell phones and other mobile Global Positioning Service-enabled devices have made life easier for countless people. Now, UNL researchers are ready to study whether police can use those tools to do their jobs better and more efficiently. Researchers with the Department of Computer Science and Engineering and the NU Public Policy Center are turning to the Lincoln Police Department to test the theory that use of the commercially available devices has significant implications for the criminal justice system, including the potential to make law enforcement agencies more efficient and communities safer. "If officers can visualize up-to-date and reliable information, they will be able to immediately identify points of interest," said Ashok Samal, a professor of computer science and engineering who's leading the research. "That represents opportunities to increase their efficiency of serving warrants, monitoring parolees and recognizing crime patterns, for example." Police departments already use geographic information systems, or GIS, to visualize the location of crimes and addresses of persons of interest or for use in modeling crime patterns. 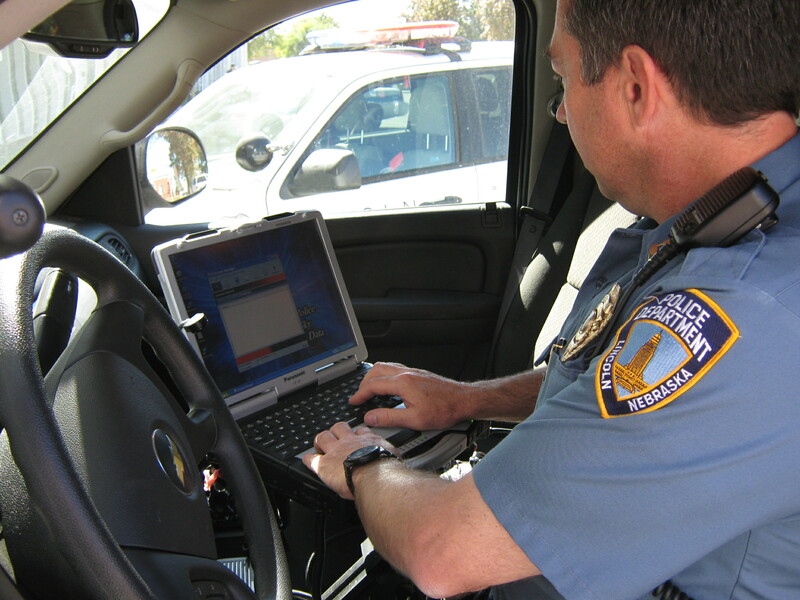 Lincoln police have used GIS for the last 13 years and the department has laptop computers installed in its fleet of about 130 vehicles. A small but growing number of law enforcement agencies are using automated vehicle location systems to track the location of patrol units and to help with navigation. But agencies haven't integrated the two systems in their field operations and that inhibits law enforcement capabilities. Integrating the systems will allow officers immediate access to accurate information, but perhaps even better from an efficiency standpoint - the technology will be able to automatically push that information out to them, researchers said. "That means if I were an officer, I could be driving down the street and my phone would buzz or my laptop would give a signal like when an e-mail comes in alerting me that there's something going on in the neighborhood that I should pay attention to," said Juan Paolo Ramirez, a researcher with the Public Policy Center and a GIS expert. The two-year study has nearly $295,000 in funding from the National Institute of Justice.